Do You Need A Doctor's Appointment For Your Migraine Headaches? Do You Need A Doctor’s Appointment For Your Migraine Headaches? “If you have ever had a migraine headache, you will understand how debilitating these headaches can be. These unique headaches can be triggered by sound, stress, foods and other factors. More common in women, migraines can affect your work and ability to perform even the simplest of activities. If you are experiencing migraine headaches, make an appointment to come and see me- help is available”. We’ve all had tension headaches. These headaches are usually easily managed with an over-the-counter analgesic and don’t usually affect our ability to function in our day-to-day lives. Migraine headaches are different. Migraines are severe headaches often accompanied by other symptoms such as nausea. Migraines may reoccur frequently and may or may not be preceded by an aura. These severe headaches can greatly impact your life if they occur frequently and are not well managed. Although researchers aren’t entirely sure what causes migraines, the consensus seems to be that migraines involve blood vessels and blood flow within the brain. Blood vessels first constrict, which restricts blood flow in the brain and causes symptoms such as numbness and tingling, visual disturbances and other symptoms. Following, the blood vessels expand, which results in an increase in blood flow and severe headache. Researchers also believe there is a genetic component to migraines- if someone in your family has migraines, you are more likely to experience them. Keeping a symptoms diary might help you to keep track of triggers of your migraine headaches. Try to write down what you were doing prior to your headache beginning. Did you go out to a loud bar with friends and have a couple of glasses of wine? Were you under a lot of stress at work and not sleeping well? Trying to pinpoint your triggers may help you to avoid your personal triggers. I may perform a neurological assessment. I may also decide to order diagnostic testing, depending on the information I get when I discuss your headaches with you. These may help me to rule out other causes of your headache. Treatment of migraine headaches is aimed at prevention of headaches and pain relief once a headache begins. There are medications that can be used to prevent headaches from occurring, and different medications to reduce pain once a headache has already occurred. When you come in to see me, we can discuss these medications and decide which might be best for you. In addition to medication therapy, it is important that you eat properly and get enough rest. Failure to do so may trigger migraines in susceptible people. You should try to identify your personal triggers and avoid them if at all possible. Some people find that measures to reduce stress are also helpful in reducing the frequency of migraines. 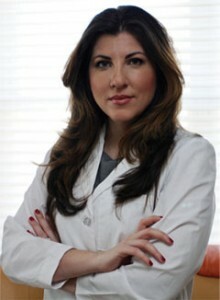 Together, we can come up with a plan of attack for your headaches, both from a preventative and a treatment standpoint. 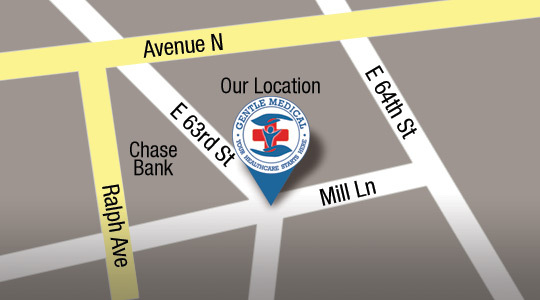 If you suffer from migraine headaches, make an appointment to come in and see me. 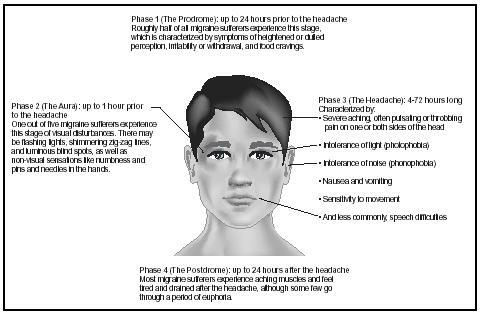 [Note: If you experience a severe headache that is different from your usual headaches (i.e., “the worst headache of my life”) or symptoms that are different from your usual migraine symptoms, such as difficulty walking or slurred speech, you should go to the nearest emergency room as these may be symptoms of a more serious condition such as a stroke].